It may be that your children have grown up and left home, or maybe you have decided that the house you are in is too big. 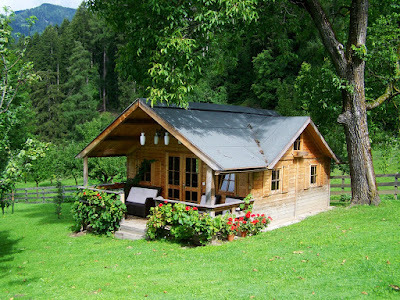 Whatever the reason, downsizing into a smaller home will have its challenges. Not only will you need to decide where you want to go, but you will also need to cut down on the number of things you are taking with you, and it is this part of the process that can prove to be the biggest challenge. However, if you approach this with objectiveness and organization, you should be able to dramatically reduce your possessions. There are going to be certain things that you just won’t want to part with, and there will also be other things that will be essential in your new home. Start to make a list of the things in these categories and place them into those you need, and those that mean a lot to you. For example, old family photo albums will need to be kept, along with gifts from loved ones and family valuables. These things can be put on the list of things that mean something to you. Other items such as kettle, bed, television, and refrigerator, are some of the things that are essential. The one caveat to that is you don’t necessarily need to take the exact items with you when you move. You will need a bed, but you can always get a smaller one for your new home. What is Your New Home Going to be? It is a good idea to have a type of home in mind before you start to reduce the number of your belongings. It will give you a general idea of what space you will have, and what things you might not need to take with you. If you are considering homes in Seattle for example, will you be looking for an apartment in the city or something slightly larger in the suburbs? Take the time to visit similar houses and see what size and how many rooms there are. This will give you an idea of the scale you need to reduce your things by. Some homes come with furniture or kitchen appliances already there. If that’s the case, you won’t need to worry about bringing those things from your old home. Before you have even decided on the house you want, it is a good time to start going through all of your things and de-clutter. De-cluttering is a necessity for a successful downsize. Everyone accumulates things over time that they don’t need, but they are kept just in case. It is now the best time to throw or give away those things before they go to your new home. Start one room at a time, and gradually work through all the things in there. You can spend a day a week on this and eventually you will have cleared out a lot of things. Don’t become too reckless when disposing of things, you might think that a box contains nothing important, but it is worth checking just in case. Just because you no longer need something, doesn’t mean that someone else might be able to use it. Contact your local charities and see if any of the things you have could be of use to them. Many homeless charities welcome clothes, bedding, and other essentials, so it might be just what they want. Try talking to other members of your family to see if they need anything. You might have a newly married couple in the family that are looking for furniture for their first home. For anything else that you have left, consider recycling it if you can. When you are sorting through your things, have a couple of bags ready to throw recycling or charity items into as you go along. You don’t want the bags to be too big, or you won’t be able to move them when they are full. There will inevitably be some things that you won’t be able to decide whether to keep or not. It might have some special meaning to you, or it may be something you have had for a long time. In these situations, it can be useful to have someone else’s opinion. Ask a friend or family member to come over and take a look through them with you. They may well have ideas or suggestions that you haven’t thought about, and that might be what you need to make a decision. Once you have started to go through your things, you will have items that you want to keep, but don’t use often. These things can be boxed up ready for the move when it happens. Not only will it help you to know what you have already sorted, but it will also save you a lot of time later when packing all your other things. You can also make a start on furniture you aren’t using as well. If you are taking a spare bed for example, then you can take it apart ready for when you move. Just make sure that all the parts and screws are attached to the bed frame, so they don’t get lost or thrown away. You don’t want to be rushing as the moving day arrives, so make sure that you plan everything. Have all of the things you no longer need taken away or recycled as soon as you can. That will give you more space to put boxes and clear the rooms. You should also try to be packed and ready at least a couple of days before the move. If you don’t, you will be rushing to pack things at the last minute. With planning and organization, you can downsize your home quickly and easily. Then you can enjoy your new smaller home.